On Saturday morning, 16 volunteers arrived at the project to paint our new second home at the College of the Assunção-Cenam centre. 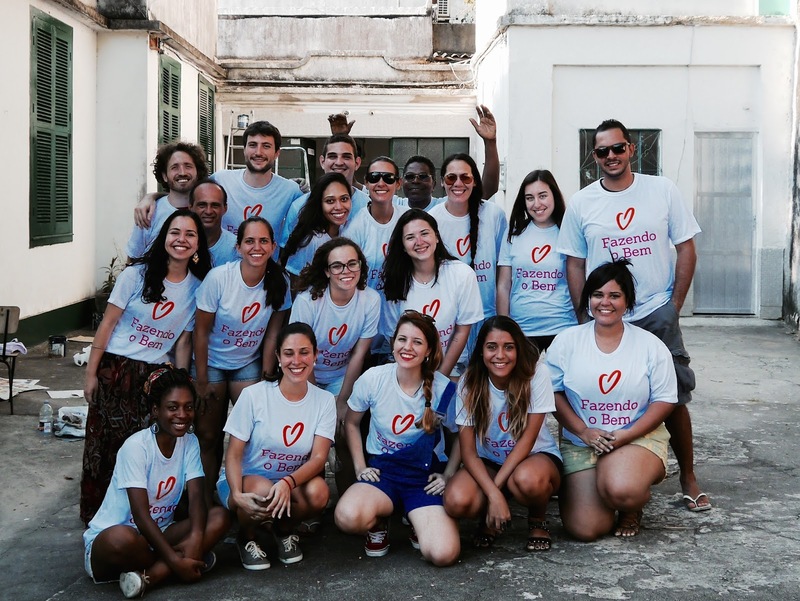 This kind and generous act was organised as part of International Goods Deeds Day, the volunteers putting themselves forward to help via the site of a Brazilian NGO called Atados. The painting was a great success and the house, which previously was looking distinctly abandoned, is now looking smart. The sisters of the Assunção-Cenam centre laid on a lovely lunch for everyone involved and the whole job was prepared and organised to perfection by local professional painter Eliezer from the Pereira da Silva favela. 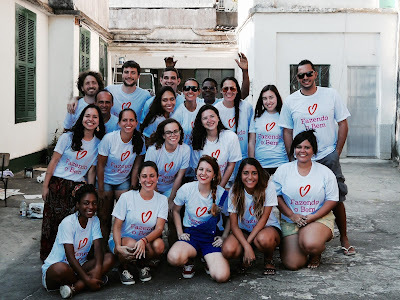 We also had help from Roberto and Regivaldo who work at the Assunção-Cenam Centre. As can be seen from the photos the school is very big and it was a great team effort to prepare and paint all of the green parts of the building in just one day. It was a very enjoyable day and many of the group have resolved to come back next Saturday to paint the white parts of the building. 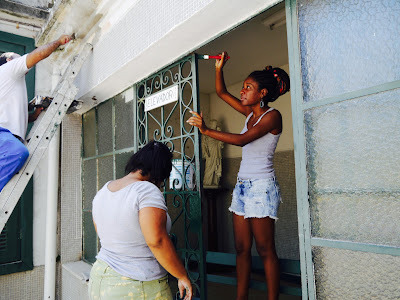 We would like to say a big thank you to all of the people who were involved in this very special day and we would also like to thank UK charity Volunteer in Brazil Lancashire, Atados and Thamyrys Paz for the financial help in buying the painting materials. 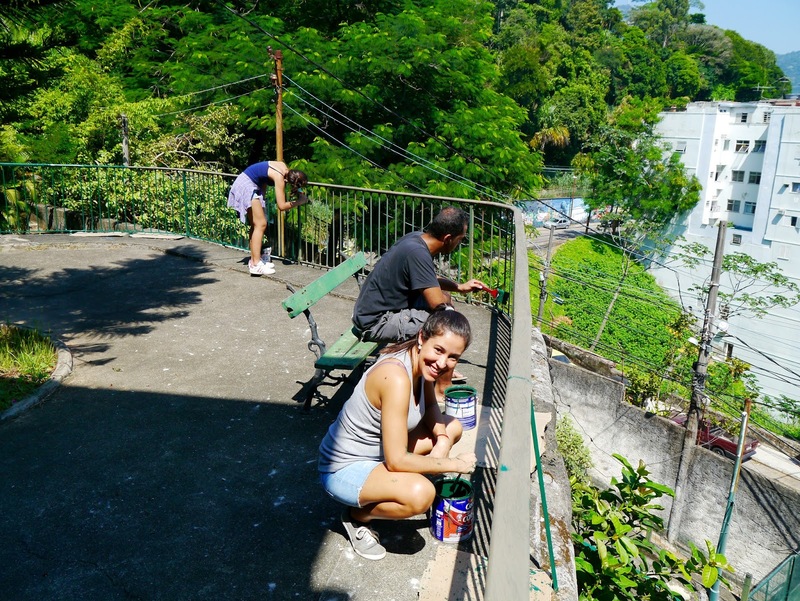 Without a shadow of a doubt, the improved appearance of the school will help us to attract a new group of students from neighbouring favelas Fallet, Fogueteiro and Morro dos Prazeres. In other words, this means even more youngsters learning to play trumpet, clarinet, percussion, jazz and samba in Santa Teresa! This place was very comfortable. Restrooms were decent. Coming here with my friends was an amazing experience. This is my favorite event space San Francisco now, because of its excellent food, perfect lighting, vibrant atmosphere and great ventilation. Not to stress! These 10 mysteries will enable you to locate a GREAT paint temporary worker New Port Richey painting contractors who'll convey a best quality activity at a magnificent cost and abandon you with a wonderful home change involvement.